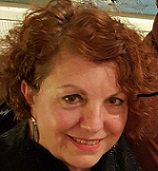 Angelika Jansen, Ph.D. is an independant art curator, liaison for cultural events between Germany and Texas as well as a freelance writer on all aspect of the arts. Having taught for 15 years at New York University and having been a co-owner of an international contemporary art gallery, the Jansen-Perez Gallery, located both in San Antonio, Texas and in Los Angeles, California, predestined her for her present vocation – being an independent art curator and organizer of art shows. Thus she has created and guided international art exchanges between Texas, Germany, Poland and the Czech Republic. She is especially proud to serve as trustee on the visual art boards of the Blue Star Contemporary and The Lone Star Art Alliance of Texas as well as being a trustee for the San Antonio Public Library Foundation (SAPLF) and the San Antonio Council For International Visitors (SACIV). Maintaining permanent homes in Berlin, Germany and in San Antonio, Texas allows her to forge artistic ties and create cultural exchanges between Texas and Germany, with a focus on Berlin and, most recently, Darmstadt.